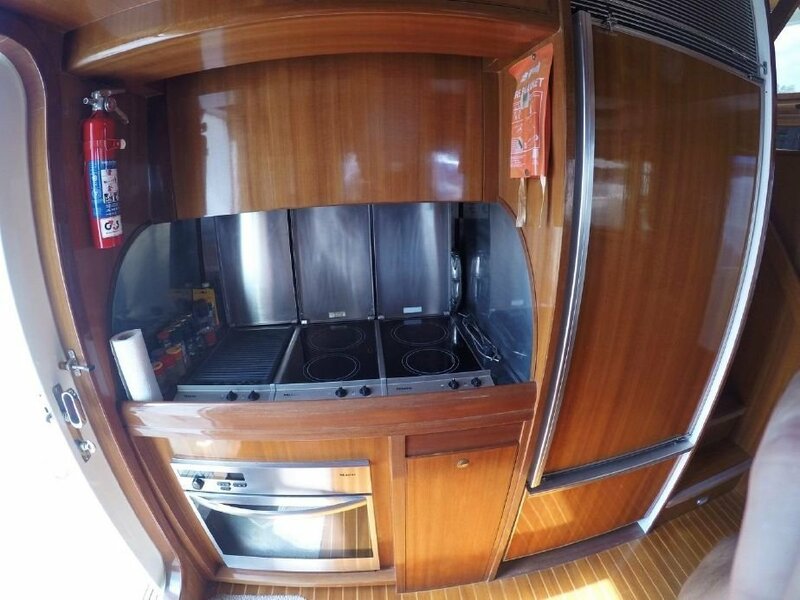 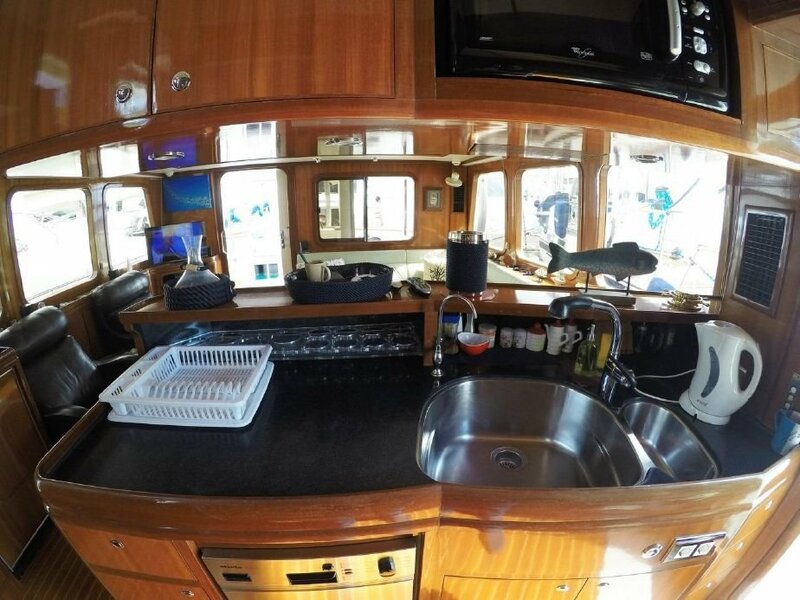 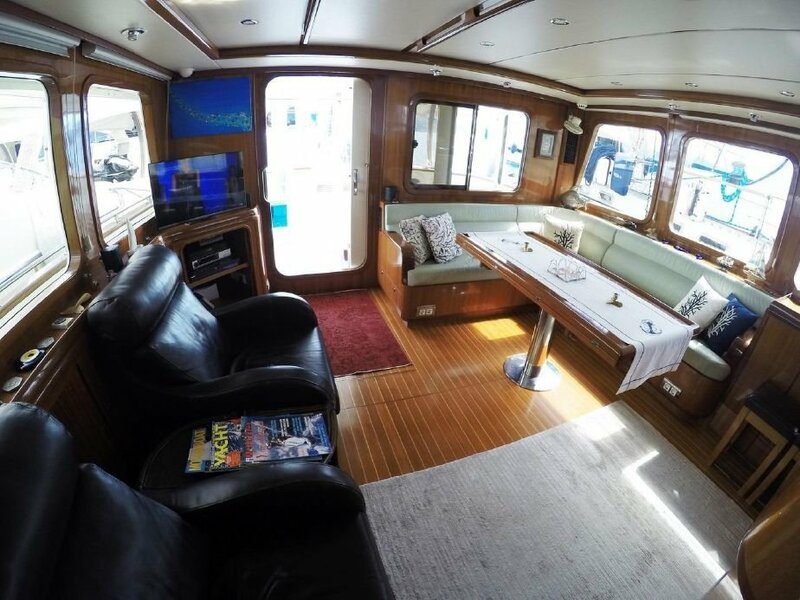 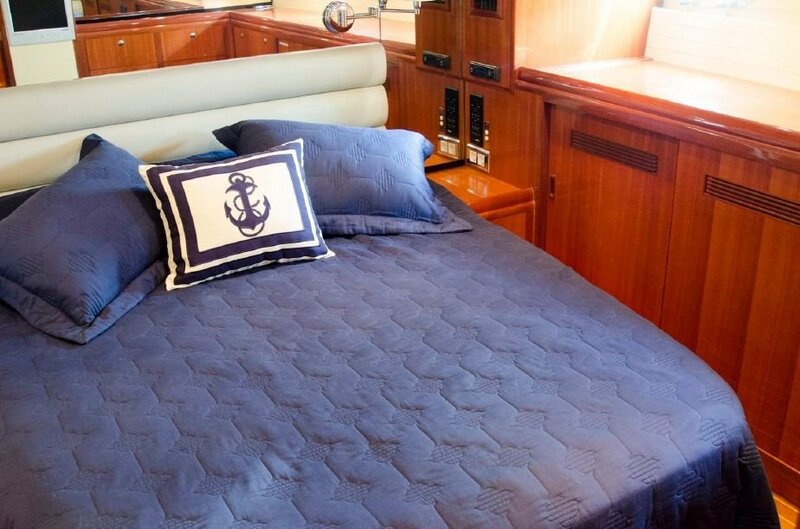 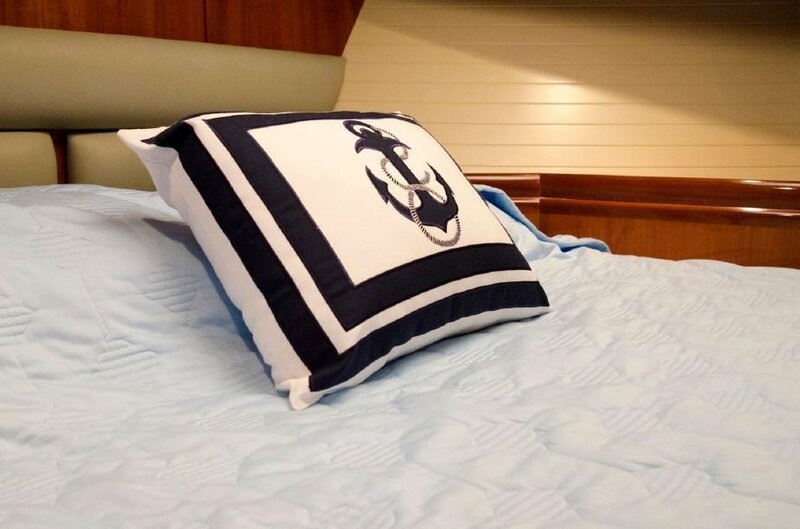 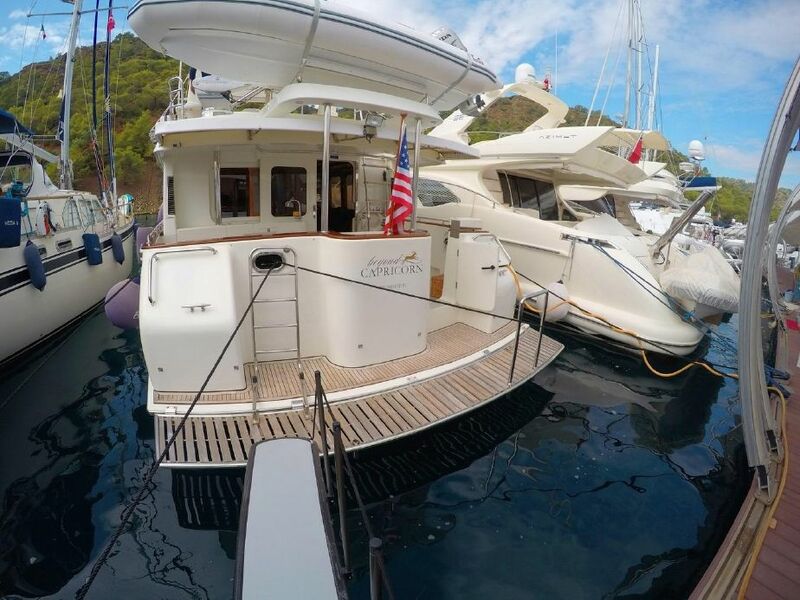 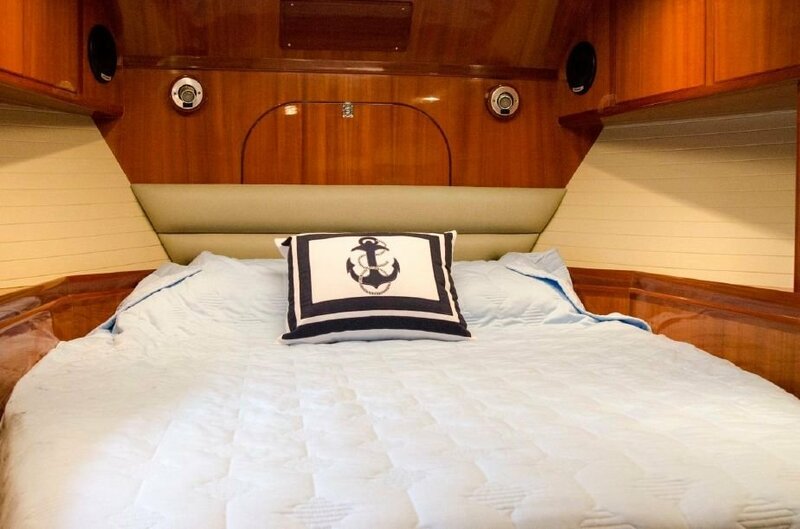 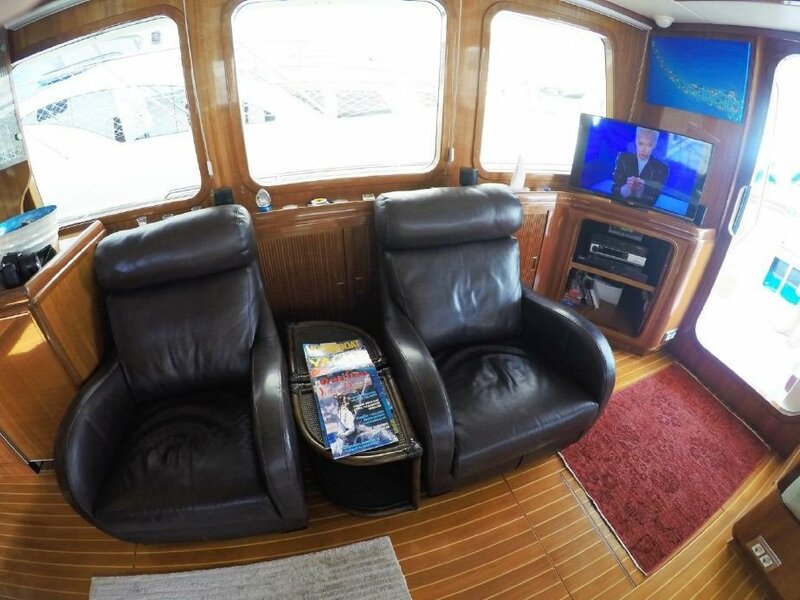 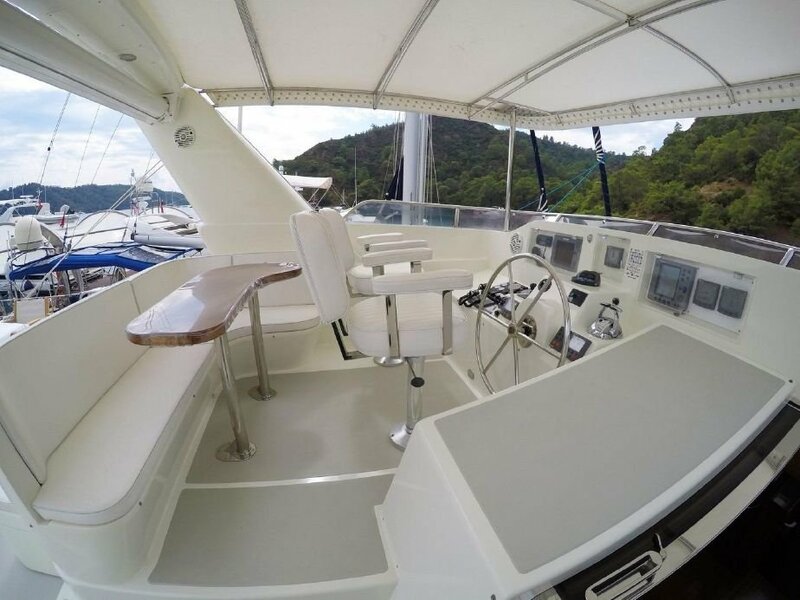 Nordhavn 57 – Beyond Capricorn – USD $620,000 – NOW SOLD! 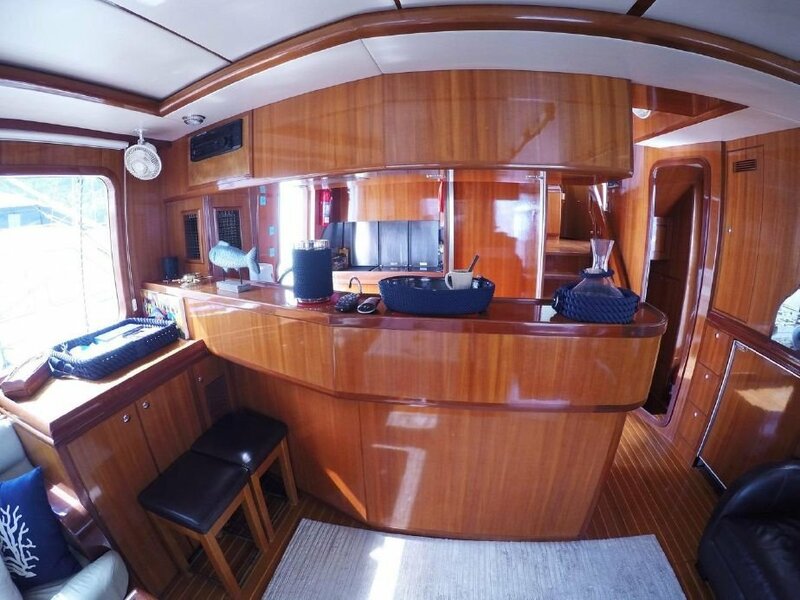 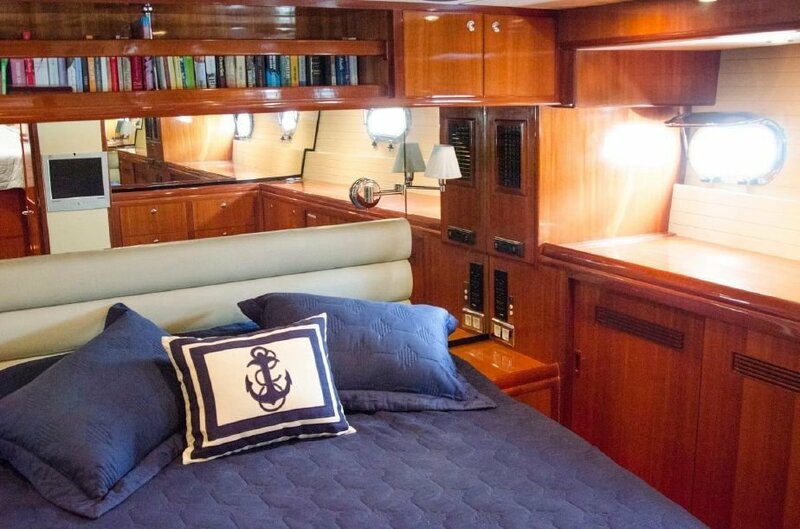 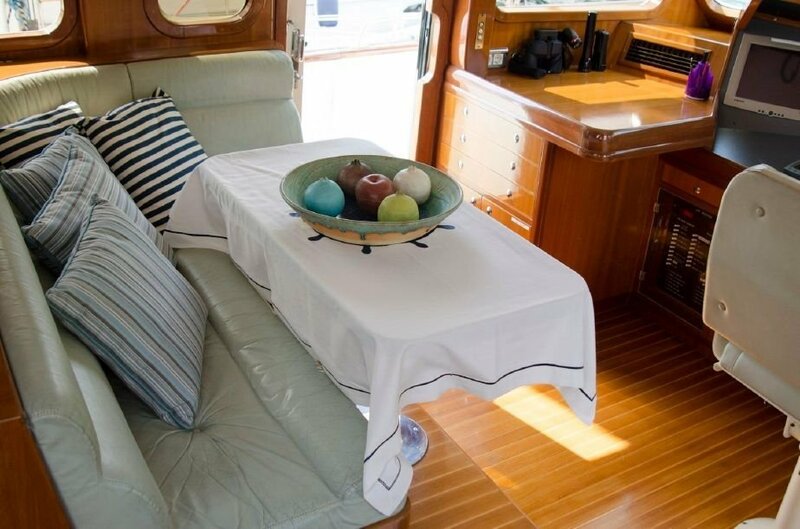 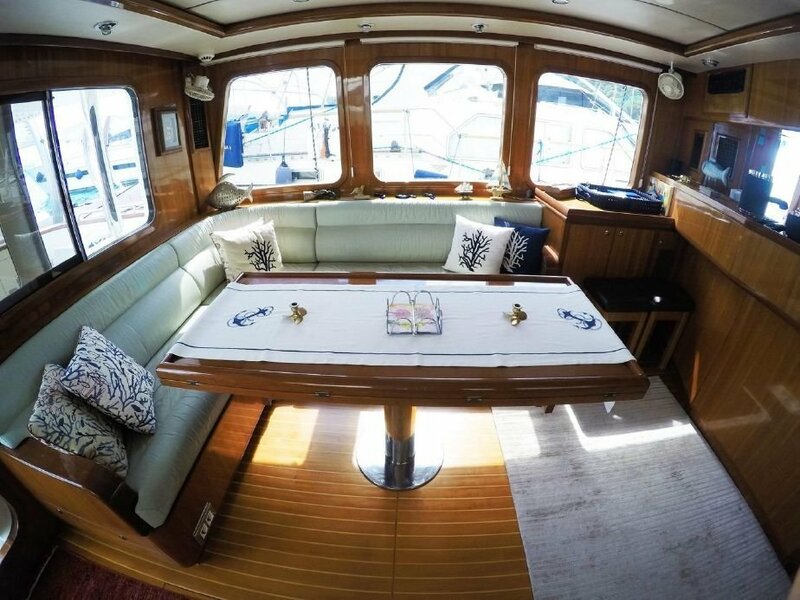 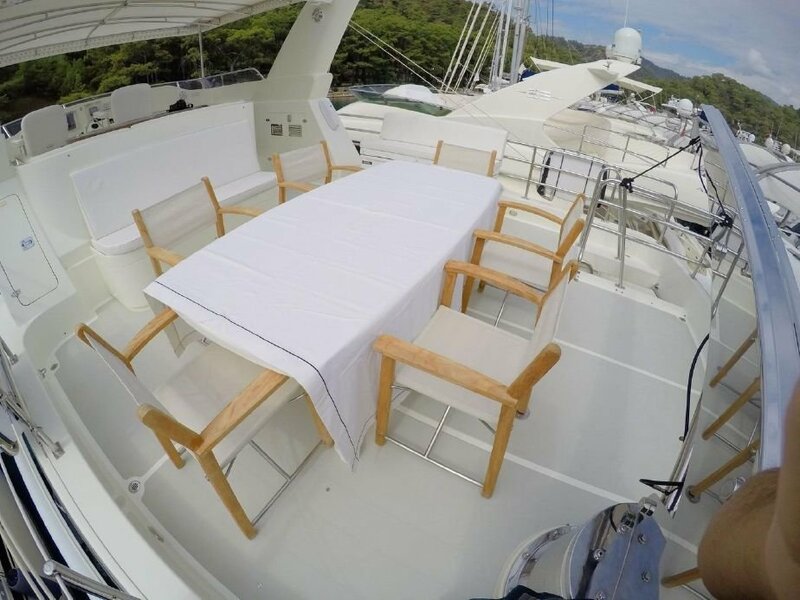 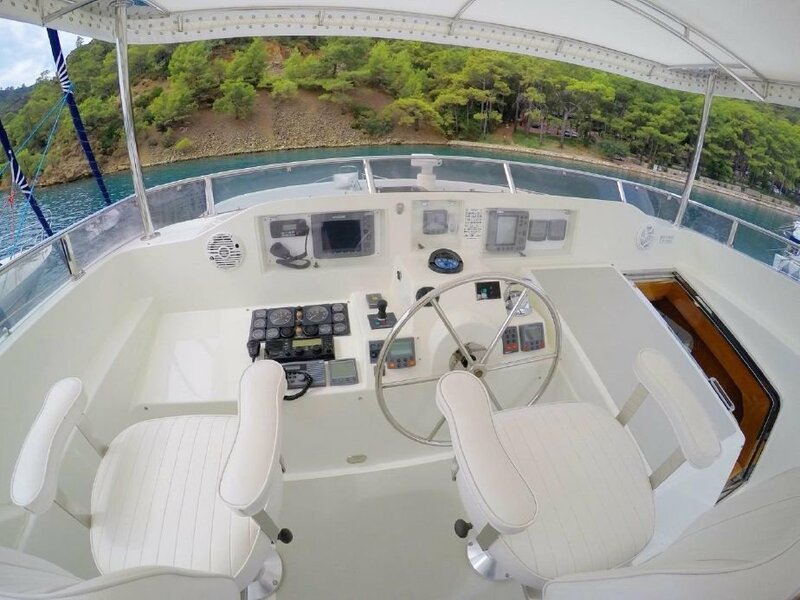 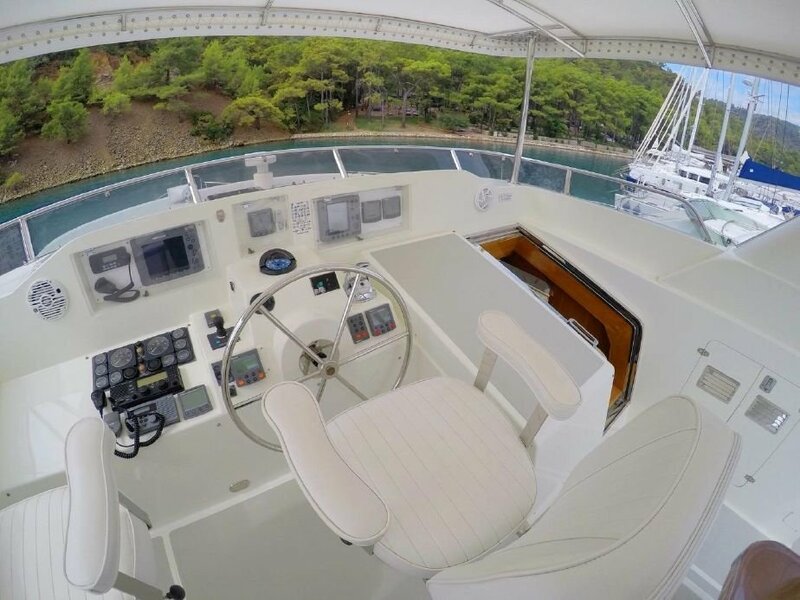 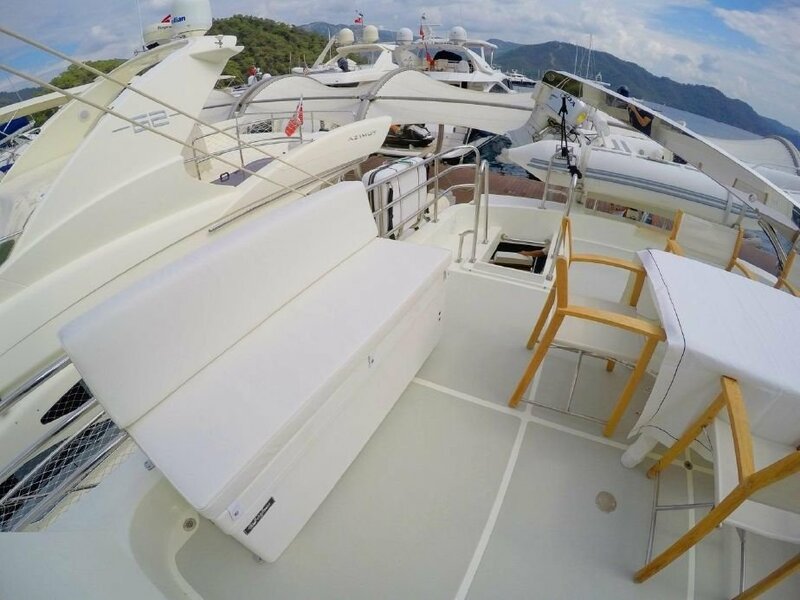 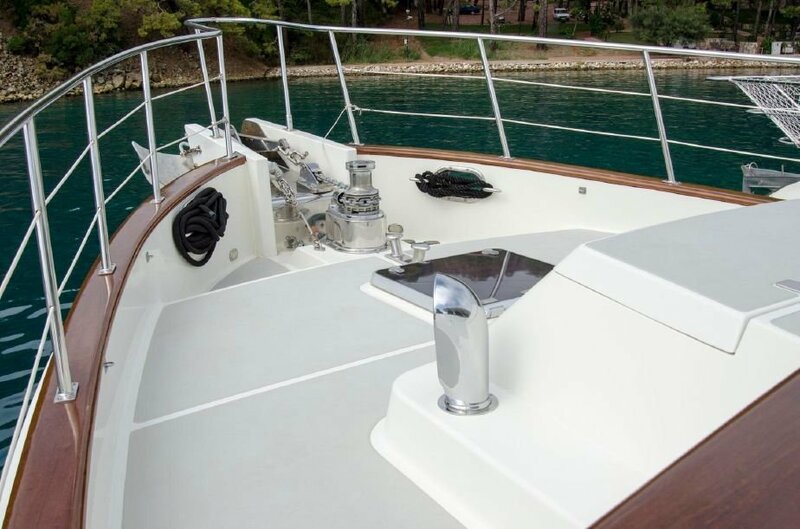 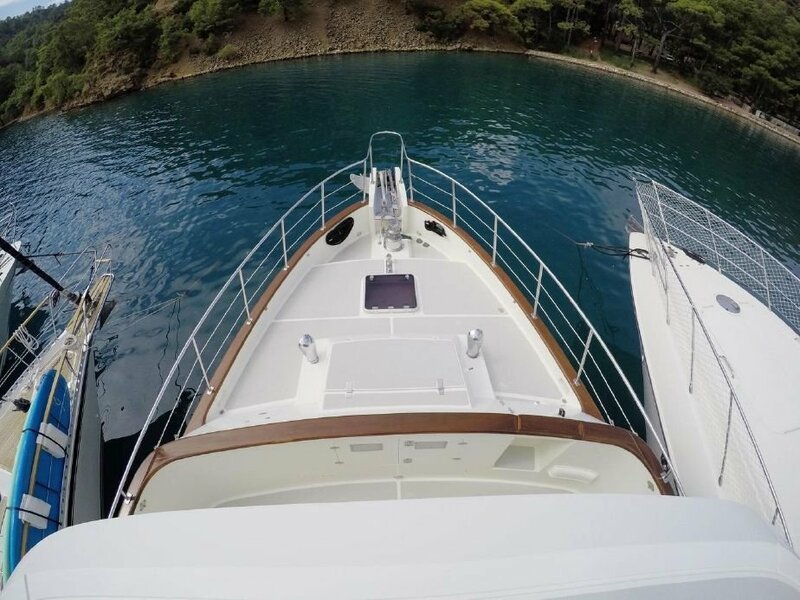 Nordhavn 57 hull number 17 built in 2001, is a very well maintained and hugely capable vessel.There has always been permanent crew on board from the day she was launch till now and her upkeep has been first class, particularly under her current owner and crew. 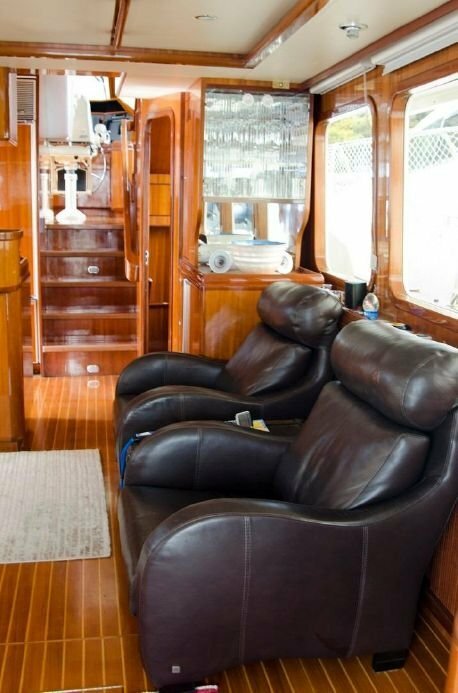 She is for sale from her 3rd owner. 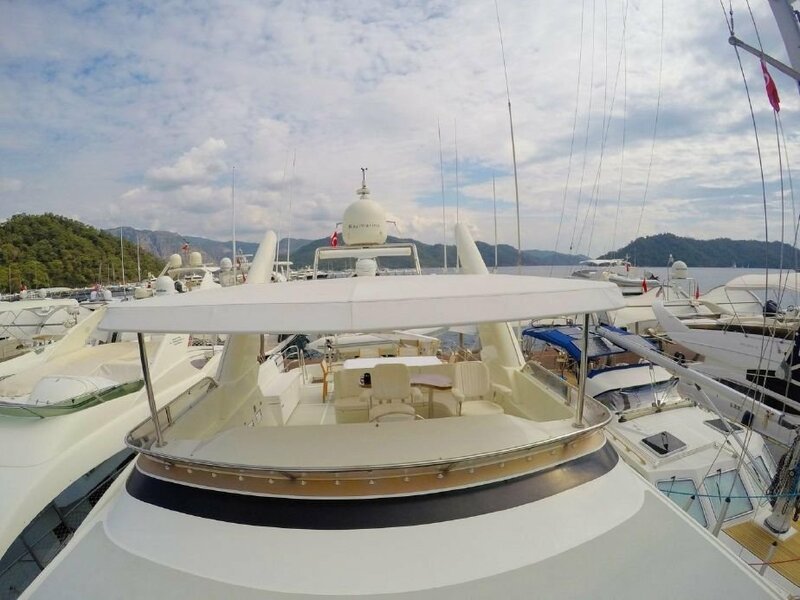 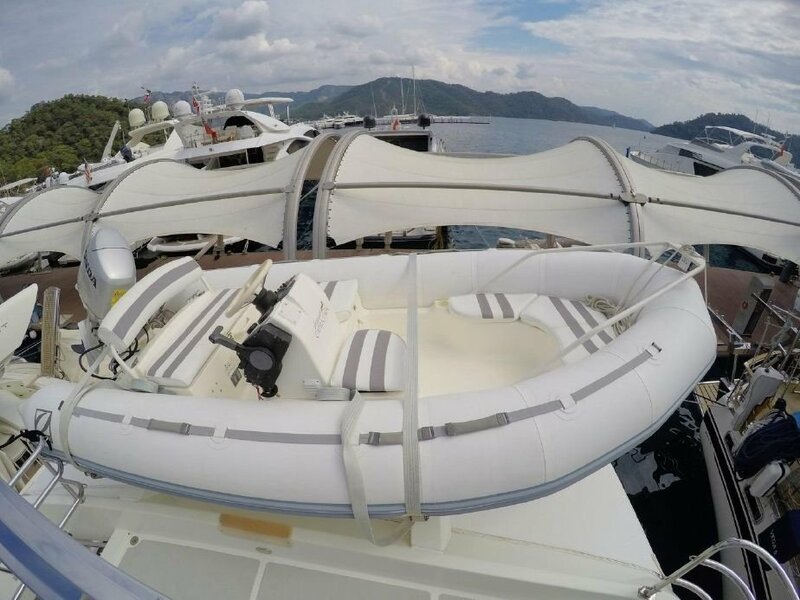 The vessel was originally built for a Australian buyer who cruised her from his native country to Europe and she has been in the Mediterranean ever since. 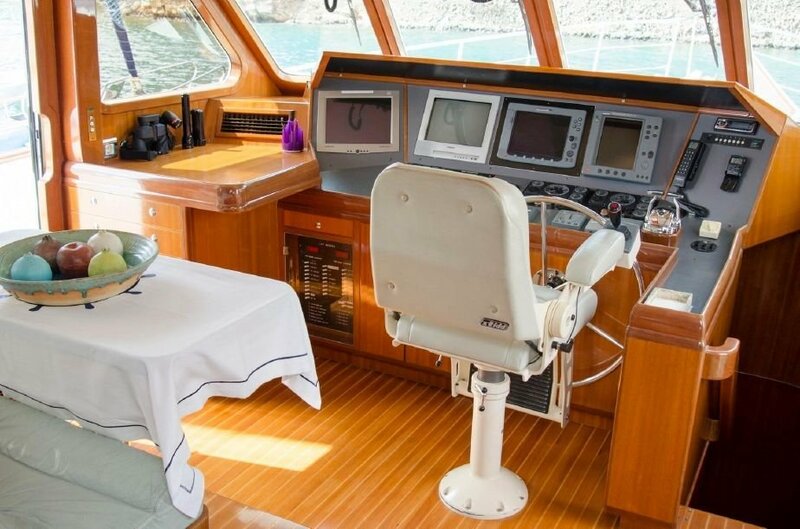 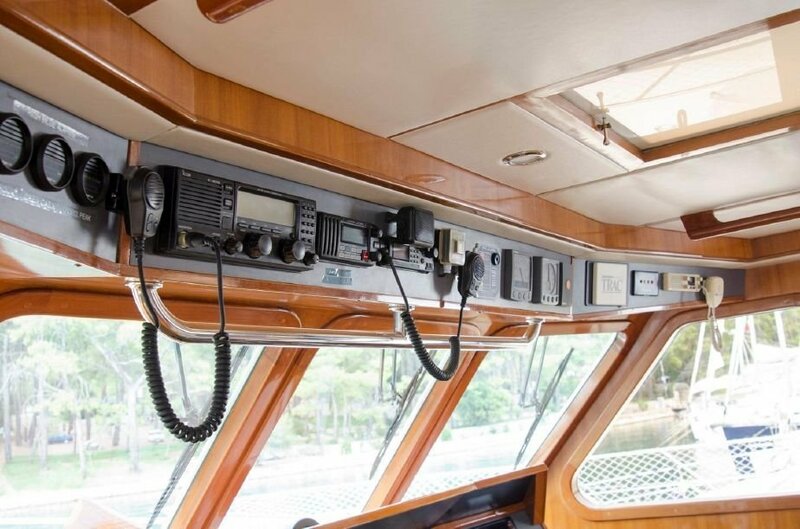 The vessel has 12 DCV, 24DCV and 220VAC 50 HZ electrical configuration. 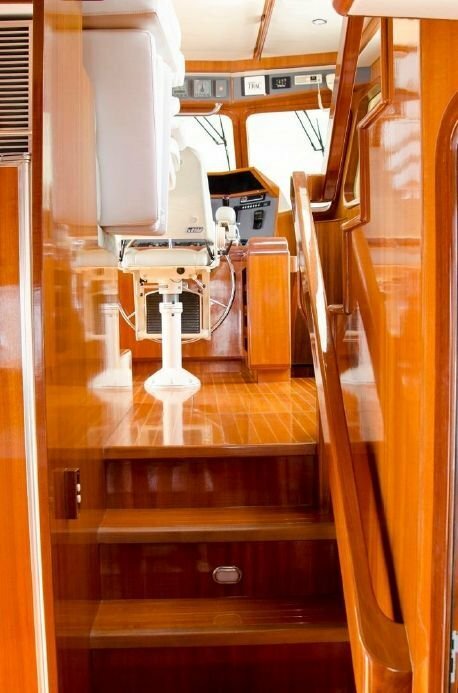 She is also rare in coming with twin engines. 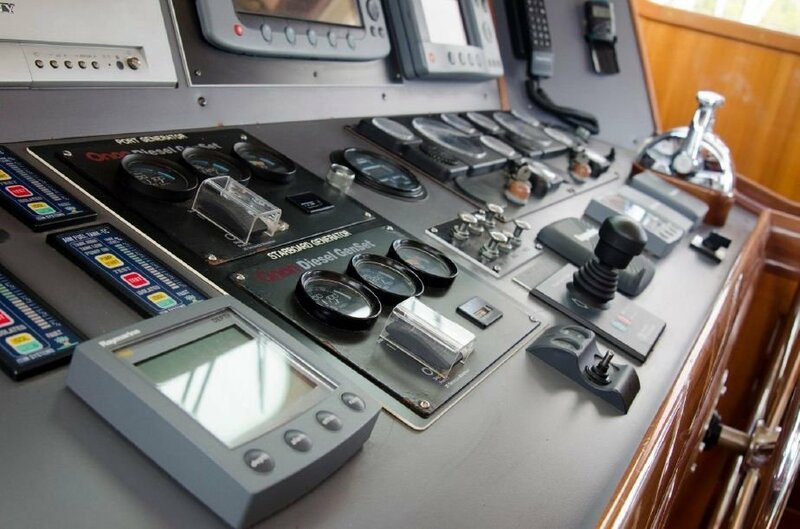 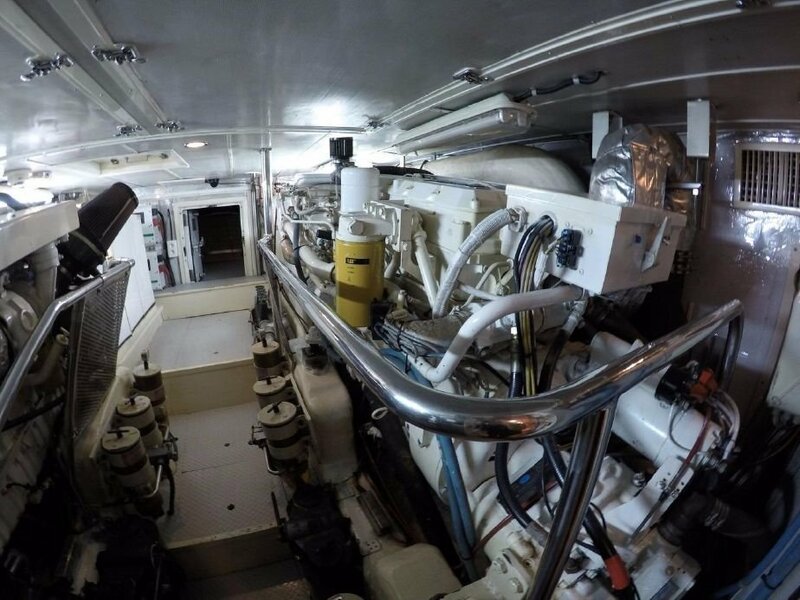 Her CAT engines on V drives allow for a crew cabin at engine room level furthering the accommodation and flexibility on this world capable cruiser. 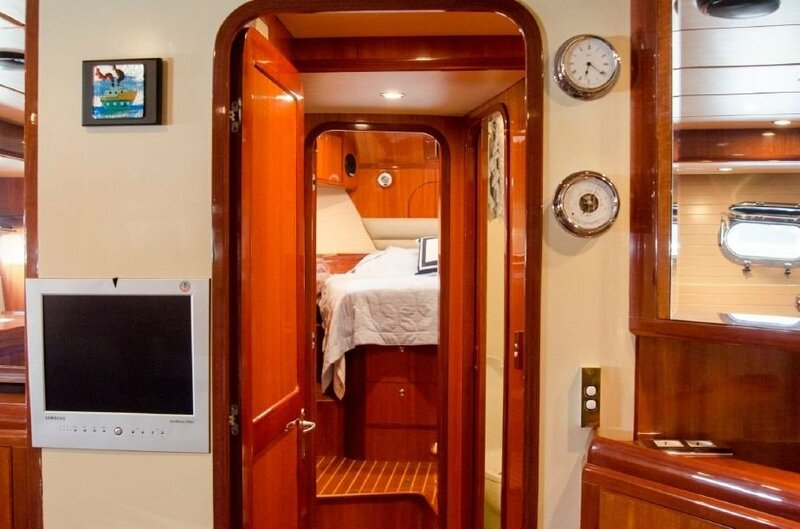 Aircondition: Cruiseair air condition in each accommodation area and engine room.